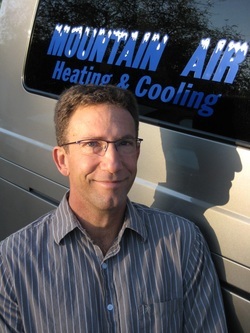 Chris Carmichael, owner of Mountain Air Heating & Cooling has nearly 40 years experience with residential HVAC systems to be able to provide you with better comfort, efficiency and peace of mind. Repair and replacement of Air Conditioners, air conditioning and heating equipment, second opinions, coolers, heaters, and heat pumps. Reliable, Good Communication, Punctual and Friendly!